Thanksgiving is all about food, friends, family, fun, and of course… centerpieces! That’s right, don’t forget about the centerpieces. 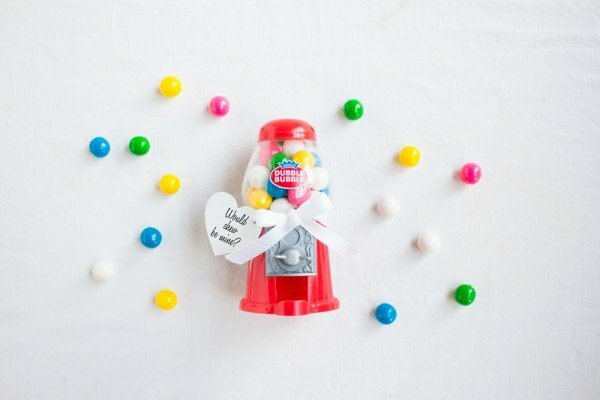 This is the perfect opportunity to showcase your style, DIY, and holiday savvy. With these 5 DIY Thanksgiving centerpiece ideas, doing so is easier than ever. Spray paint can be your best friend. 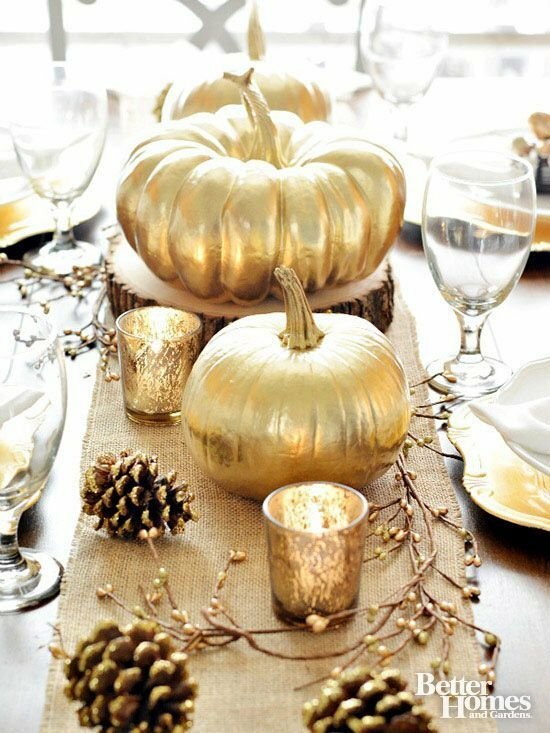 Reuse old pumpkins and spray paint them a metallic gold for a DIY centerpiece that’s gorgeous and easy to make. Complete the look by adding coordinating touches like gold glass tea light holders. 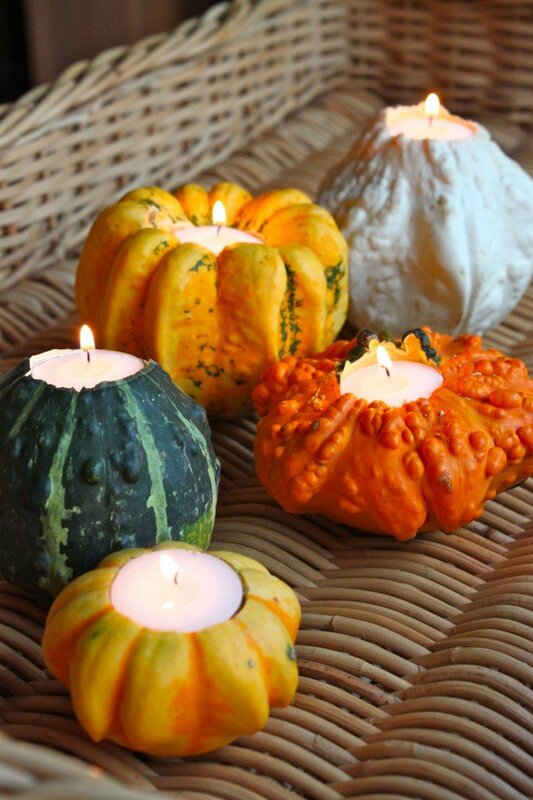 Hollow out a variety of gourds and place a votive candle in each for a bright centerpiece idea. Mix and match different sized, shaped, and colored gourds for a vibrant and dimensional centerpiece look. Mason jars are a trend that’s here to stay. Get on the wagon with this inspired look. 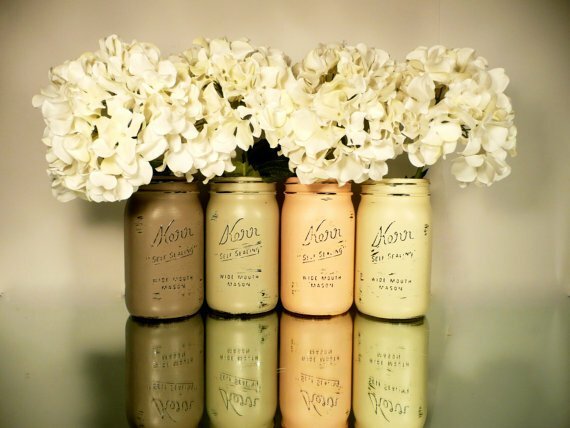 Paint the mason jars in the color scheme of your choice and simply fill with seasonal and fall inspired flowers. 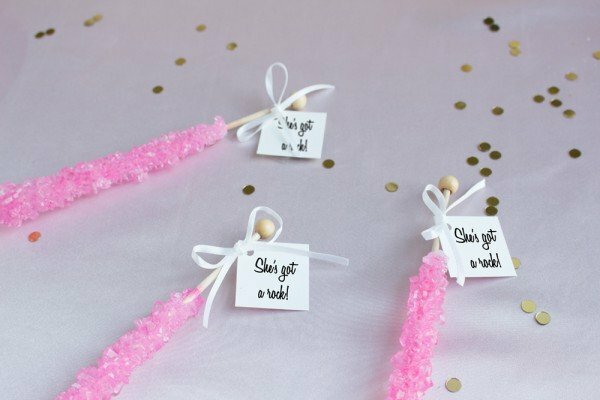 You can do this DIY literally minutes before guests arrive! Choose some colorful leaves, twine, and burlap and wrap around some pillar candles. Voila! 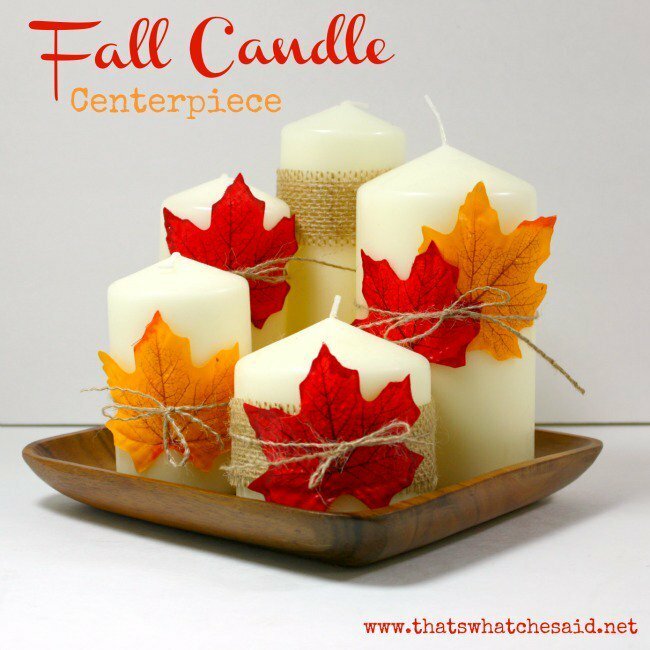 In minutes you’ll have a colorful, seasonal, and functional centerpiece. 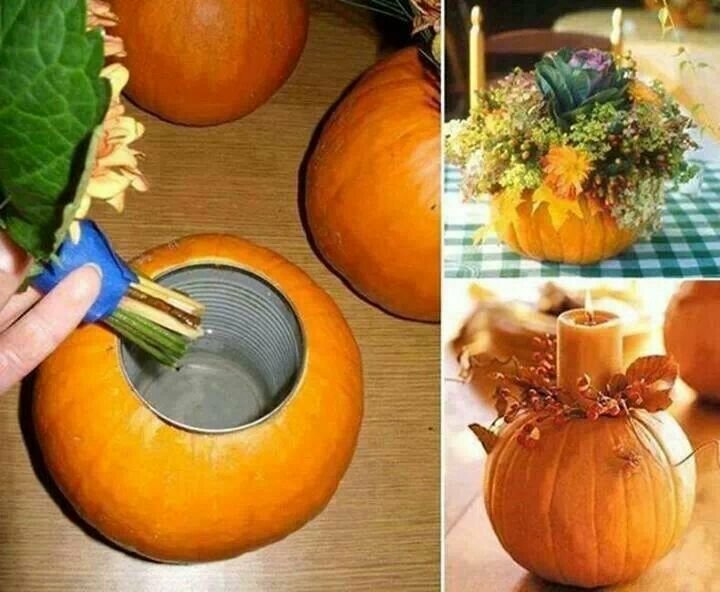 Similar to the gourds DIY, but more grand. Simply hollow out a large pumpkin. Place a tin can in the middle and fill the can with a fresh bouquet, pillar candle, or anything else fall inspired for a wonderfully full Thanksgiving centerpiece.